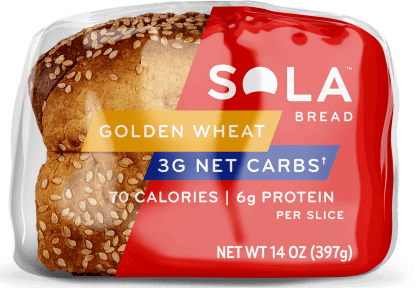 Trying to reduce your carb intake? 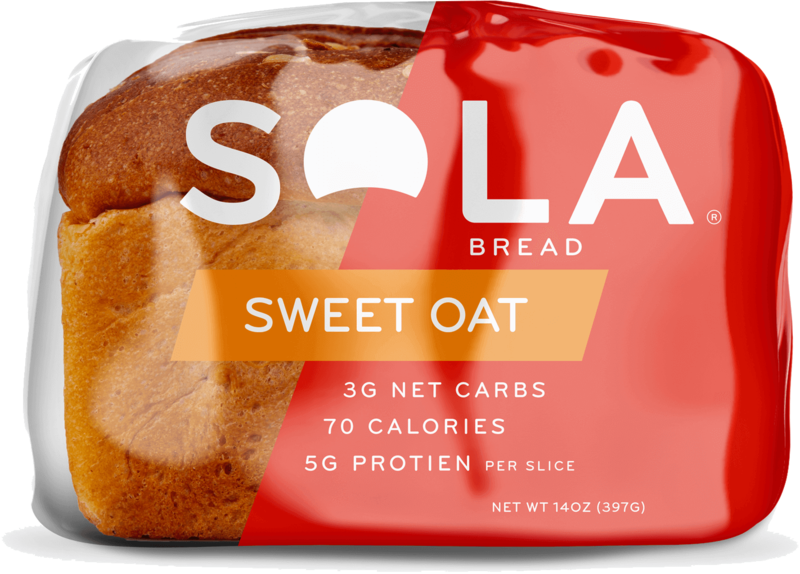 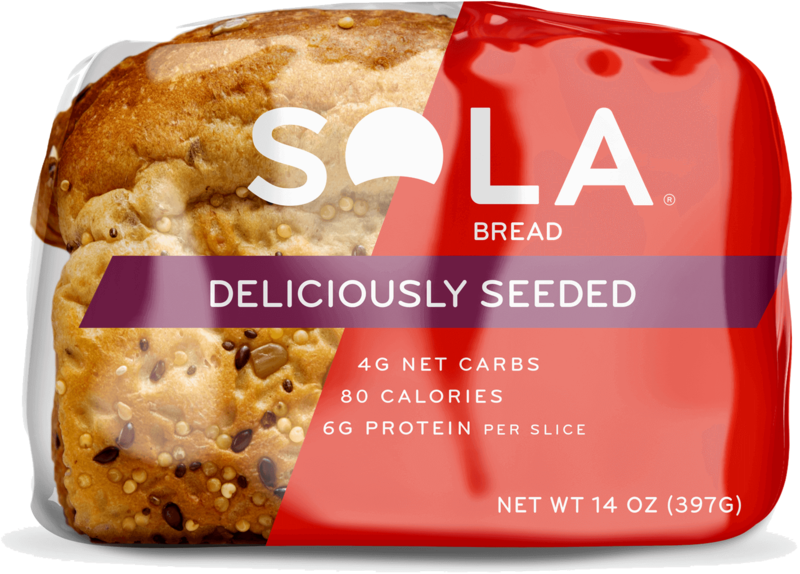 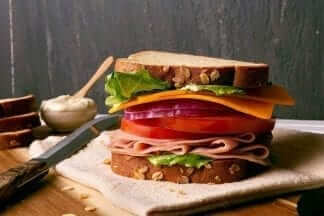 Moist, flavorful SOLA® low carb bread, with 4 grams or less of net carbs†, is here to make sandwiches possible again -and you won’t be able to tell the difference! 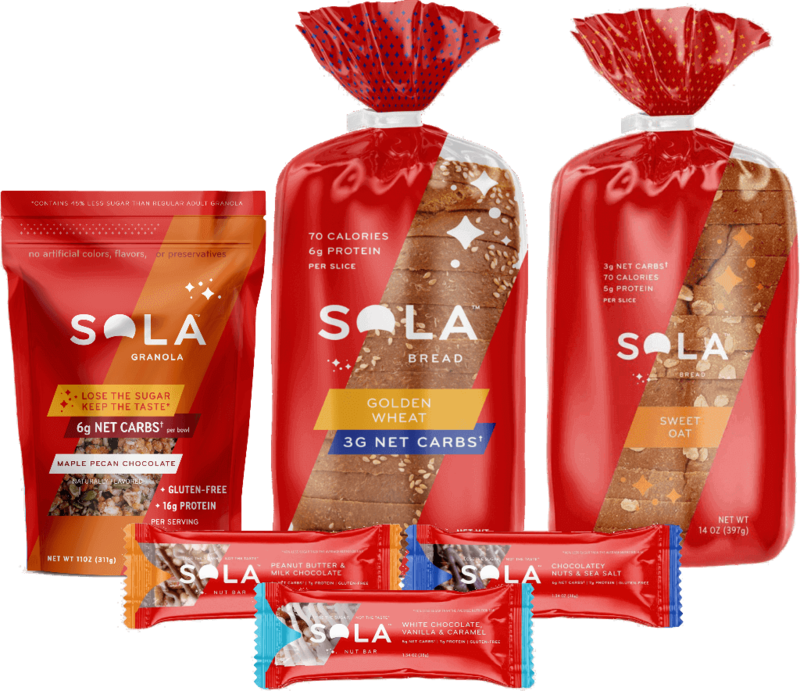 ❢ Sola bread will stay fresh for up to 2 weeks at room temperature, and can be stored frozen for up to 6 months. 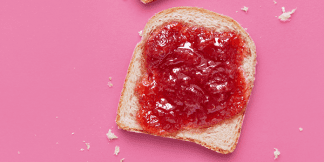 We recommend freezing shortly after receiving, and remove from freezer as needed.